CARBONDALE, Ill. — Every day, hundreds of Filipino prisoners sit in over-crowded and under-funded jails awaiting trial. Many have been there for months, and even years, and are yet to be convicted of any crime. But as a former inmate himself, Southern Illinois University assistant professor Raymund Narag is out to reform these challenging situations. As a young student working on a public administration degree from the University of the Philippines-Diliman, Raymund Narag was just beginning to hone in on his future career path when suddenly everything changed for him. Only days before graduation, a brawl broke out between two rival fraternities, leaving one young man dead. Along with 10 other men, Narag, a member of one of the fraternities, was charged with murder, two counts of frustrated murder and three counts of attempted murder. He was then detained in the small confines of the Quezon City Jail in Quezon City, Philippines for six years, nine months and four days. While Narag awaited a trial that was continually delayed, he was housed with approximately 180 other inmates in a space that was built for 20. But rather than conforming to the popular mindsets of his cellmates, Narag worked his way up into the prison management, even while still an inmate. After nearly seven years in the overcrowded jail, Narag was acquitted of the crimes he was originally arrested for and set free to restart his life. Motivated by his experiences in the Philippine jail, Narag traveled to the United States and pursued his doctorate degree in criminal justice administration and criminology at Michigan St. University. In 2012, Raymund Narag joined Southern Illinois University Carbondale as an assistant professor of criminology and criminal justice. Following his time of recovery and study, Narag embarked on a life-long mission to reform the Philippine penal system. He focused his research on the current jail conditions of the inmates, along with the issue of prolonged pretrial incarceration. This expertise has developed into practical research that is transforming the penal system at both a local and national level. Due to a lack of resources, Narag found that the inmates and prison workers in the Philippines are forced to create their own informal coping mechanisms. The prisoners are paired together to share visitors, resources, living space and food. These unofficial management skills work to overcome the lack of governmental resources. Narag quickly discovered the jail systems are based in a western mindset, but a Filipino reality. This dualist structure makes every decision discretionary based on individual jail officers and produces a system prone to corruption, mismanagement and confusion. After extensive research, Narag discovered that 50 percent of the inmates in the Philippines had stayed in jail longer than nine months while undergoing trial. In addition, 25 percent of the inmates stayed in jail longer than two years, and in the most extreme cases, several inmates had stayed in jail for 10-15 years. While various factors impacted this prolonged incarceration, for Narag, it pointed to a serious flaw in the Philippine administration of justice. “Now, based on my current knowledge of effective corrections, I have worked to take the best practices in the United States, and Philippinize them based on the culture and way of life to make the most effective changes,” Narag said. To do this, Narag has created a training for the Bureau of Jail, Bureau of Corrections and the Philippines Police Department. This training includes a broad database management system that shares arrest and incarceration information between the five pillars of the criminal justice system in the Philippines. The single document system Narag created works to increase the communication between the departments, which had previously been very limited, to ensure that inmates are treated fairly. Narag also created a program in coalition with the Philippines Supreme Court to monitor the incarceration time of inmates. Under Narag’s method, all inmates were recorded from when they entered the jail, until when they were tried. The basic formula monitored how long inmates were incarcerated without a trial, and then allowed the courts to make effective decisions based on this data. 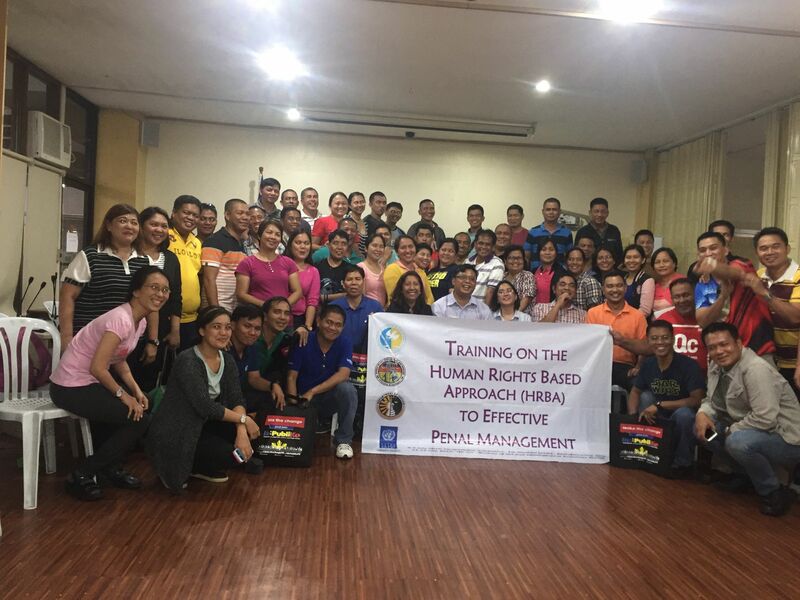 To implement these reforms into the Philippines penal system, Narag often travels back and forth between the United States and the Philippines to conduct free training sessions and continue his research. Over the last several years Narag, along with several SIU students, receives the data from the court systems and monitors and reports back with the relevant information. Narag’s goal for the data management system is to shorten the time prisoners are incarcerated without a trial, decrease prison crowding and eventually improve jail management. While funding has been limited so far, Narag continues to research and implement improvement methods for the Philippines penal system. He has published multiple books and articles and recently applied for a research grant to take future criminology and criminal justice students to assist in the officer and prison trainings in the Philippines. After being incarcerated for nearly seven years for a crime he didn’t commit, Raymund Narag is back to reform the Philippine penal system. Narag created a database that monitors prisoner data to ensure fair treatment. In coalition with the Philippine Supreme Court, Narag is devoted to decreasing pretrial incarceration time of inmates and improving overall jail management.